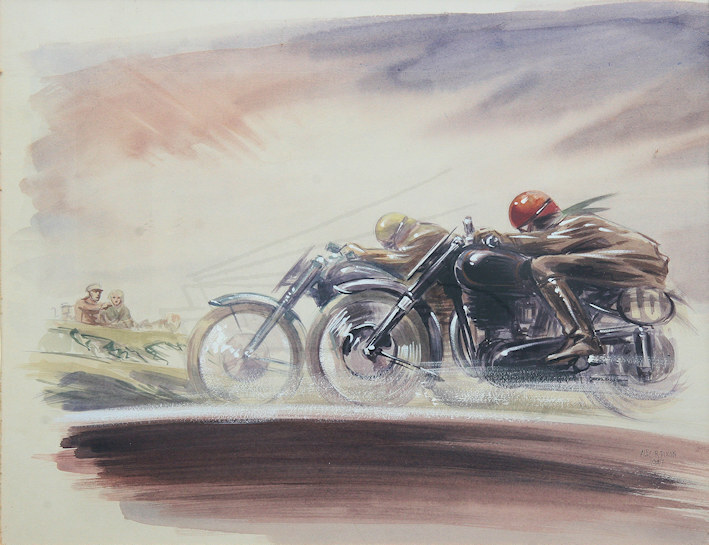 Nothing known about this artist except for this motorcycle painting dated 1947. Style of painting is very similar to the work of the French artist Geo Ham. Motor cycle racing signed and dated 1947.